INOX Leisure Limited is the diversification venture of the INOX Group into entertainment. To be the leader in the cinema exhibition industry, in every aspect right from the quality and choice of cinema to the varied services offered and eventually the highest market share. INOX has traversed its own path by bringing in a professional and service-oriented approach to the cinema exhibition sector. With strong financial backing, impeccable track record and strong corporate ethos, INOX has established a strong presence in the cinema exhibition industry in a very short span. It must be noted that INOX was chosen post a nationwide tender to design, construct and operate the prestigious multiplex in Goa. Since the launch of the multiplex in 2004, INOX is the venue of the prestigious International Film Festival of India (IFFI) every year. Since its inception in 1999, INOX has been active in exploring acquisition and / or expansion opportunities on continuous basis with a view to consolidate its position in the multiplex industry. 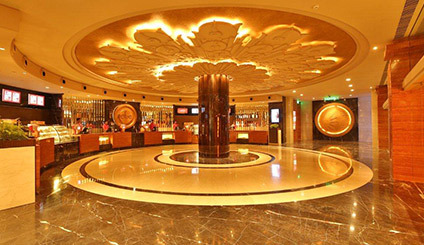 INOX kicked off the consolidation phase in the multiplex industry by acquiring Calcutta Cine Pvt. Ltd. (CCPL) in 2007. This was followed by the acquisition of Fame India Limited, another multiplex cinema theatre Company having nationwide presence in May 2013. In August 2014, INOX acquired a third multiplex chain Satyam Cineplexes Ltd., thereby strengthening its presence to be a significant player in the Indian multiplex space and redefine the movie going experience in India. INOX currently operates 140 multiplexes and 578 screens in 67 cities and will continue its expansion into places like Gwalior, Salem and New Delhi while adding new properties in Delhi NCR, Mumbai, Bhubaneswar and Hyderabad among others. A pioneer in adopting latest technologies, INOX recently launched India’s first LASERPLEX at Cr2 mall in Nariman Point and India’s first 7-Star experience in R-City mall at Ghatkopar West as well as in Nariman Point. Both these multiplexes additionally houses INSIGNIA, INOX’s signature experience, which is the last word in luxury cinema entertainment. With INSIGNIA, guests enjoy a gourmet menu curated by master Chef Vicky Ratnani, butler-on-call and service by staff dressed in designer uniforms by Arjun Khanna, among other features. In addition to the well-known food and beverage outlet, REFUEL, which serves a variety of cinema foods, a café, called UNWIND, dishes out an array of finger-licking fresh and local food. A fun zone for tiny tots, called KIDDLES is set up in the lobby where young children can spend time playing games and engaging in creative activities before the movie in key multiplexes. This section, meant for members of the media, provides access to information about INOX Leisure Ltd. Detailed reports on the company's financials and mandatories. Serilingampally Mandal, Hyderabad – 500032. Registered Office: INOX Leisure Limited, ABS Tower, Old Padra Road, Vadodara — 390 007. Details of Promoter & Directors of the Companies. Schedule of Conference Call/ Investors-Analysts Meeting – March 28, 2019. Disclosure under Regulation 30 of SEBI (LODR) Regulations 2015_Schedule of Analysts meeting / Institutional Investor Meeting - 23 February 2017. Disclosure under Regulation 30 of SEBI (LODR) Regulations 2015 - 7 February 2017.